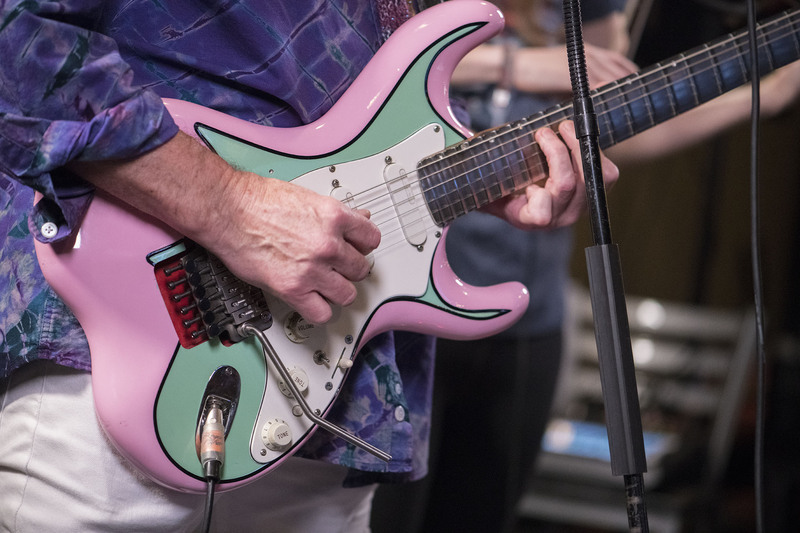 Roger Fisher's most recent customization - the Pink Lady Fender Stratocaster guitar. 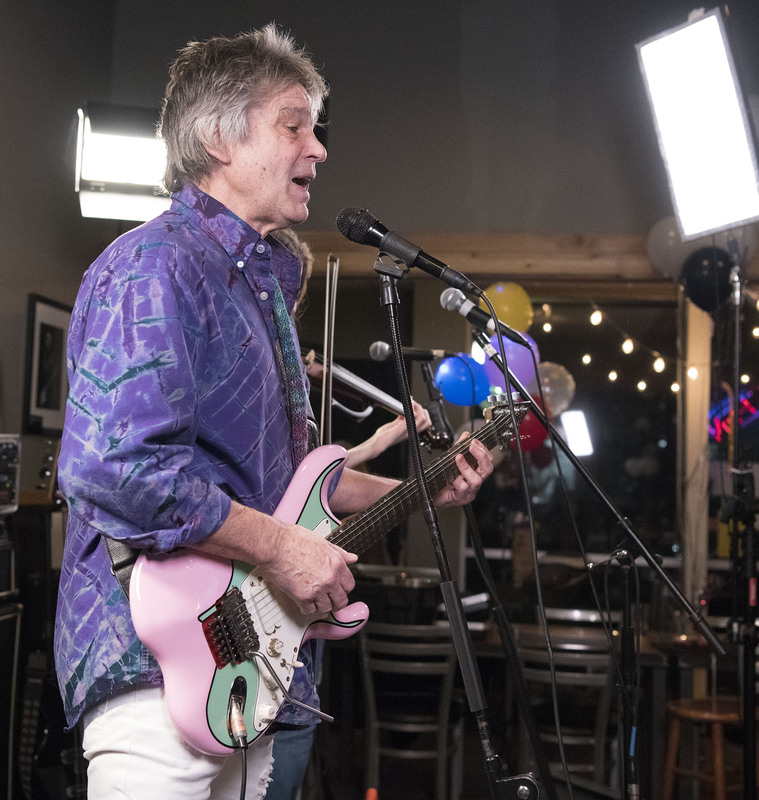 In this fourth episode, Roger Fisher, the Rock and Roll Hall of Fame guitarist for Heart, talks about his love of building custom guitars, including how he built his “LED Strat” and double-neck SG. It shouldn’t come as any surprise that Roger is very creative in a variety of dimensions. I found it fascinating to learn about his passion and artistry for customizing guitars. His confidence abounds as he talks about taking a saw and file to his classic Les Paul to “improve it” – not something mere mortals would likely attempt. In this episode, Roger takes us through how he created his SG double-neck guitar, the so-called LED-strat, the Pink Lady strat, and his beautifully sculpted “Magic Man” Les Paul. Roger also has lots of talented friends. Roger is so affable and his passion infectious. I’m sure that’s how he easily inspires those around him. In the case of his guitars, you can see it with the innovative circuit board that uses no moving parts to change the pattern of the in-laid LEDs in the neck of the guitar, or the paint job on the Pink Lady Fender Stratocaster. Roger’s guitars have many unique features (as far as he knows) such as using titanium for the Pink Lady fret board, sculpting divots along the back of the neck to identify by feel where the position markers are, and dividing the pegs on the head stock by 4 and 2 as opposed to 3 and 3. 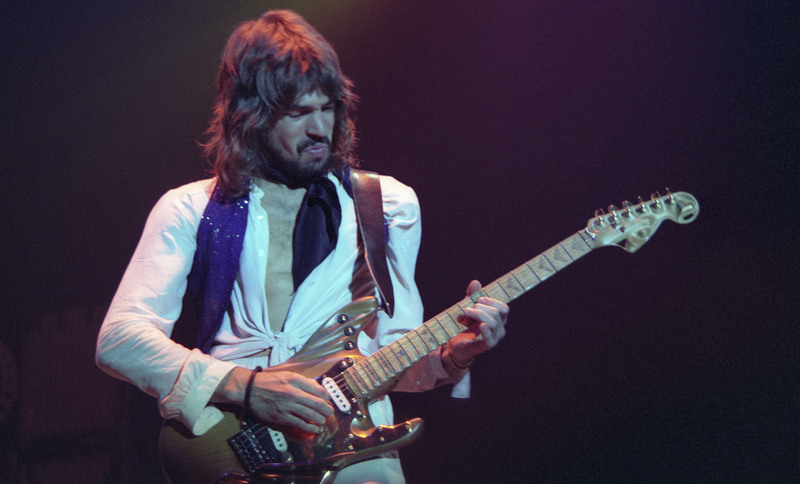 Roger Fisher playing his LED Strat. 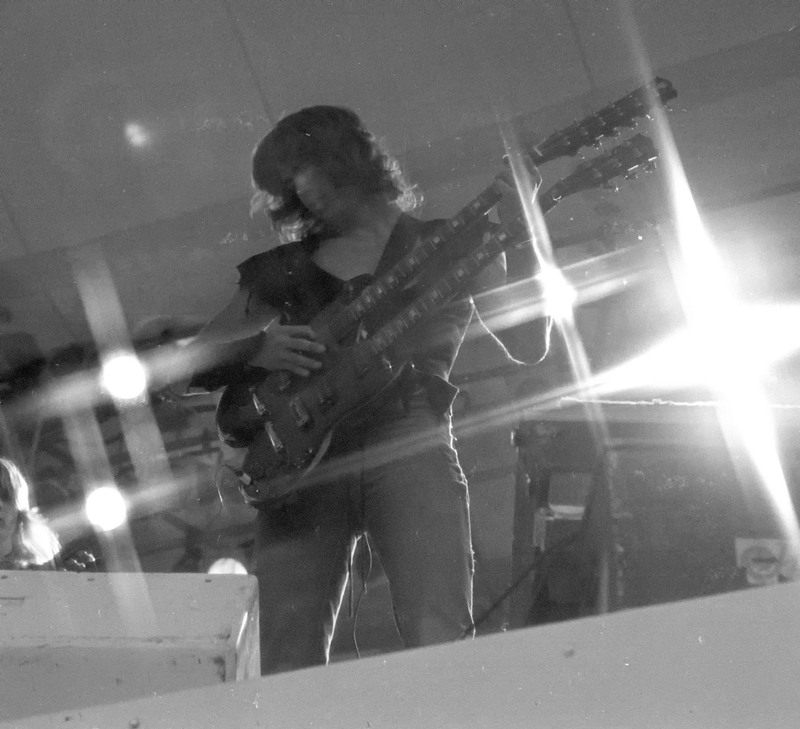 My one and only shot of Roger Fisher plaing his Gibson double-neck SG guitar at Central Park, New York City, August 22nd, 1977. Sorry for the poor quality. Very interesting video, Roger. I am a friend of Guy Johnson; he one day mentioned “Frets” to me when I asked him where his red Guitar was; had no idea what he was talking about! he needed new Frets on his Red Guitar, so now I know! !